When a flue system passes through the roof of a property, the hole that must be cut in the surface will always be larger than the overall diameter of the flue pipe due to safe clearances to combustible materials. 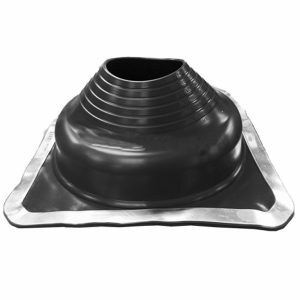 For example, a twin wall pipe with an overall diameter of 200mm will typically require a hole in the roof cut to at least a diameter of 300mm… This is where a Roof Flashing steps in. 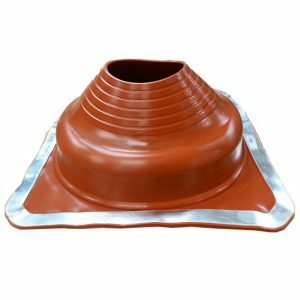 A Roof Flashing is designed to provide a weather proof seal at this point by covering the hole with a base plate and providing a water tight seal around the flue with the silicone collar. Generally, Roof Flashings can be separated into one of two types; suitable for tiled roofs or suitable for every other roof type such as profiled, corrugated, felt, wooden and so on. These Flashings sit on a malleable, aluminium base, designed to be secured beneath the roof tiles for ultimate weather proofing. The silicone cone upper portion will be pre-set to a 20° angle to accommodate the standard pi tch of a residential roof. 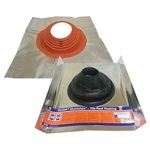 As all flashings are designed to accommodate a range of pipe diameters, the silicone cone portion is simply then cut away to the desired width for your flue pipe. 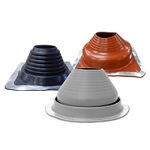 This form of Flashing features the same silicone upper cone but set at 90° for f lat roofs. The base features an aluminium strip around the edge rather than a base plate to allow the product to contour to any roof type, especially handy when it comes to corrugated roofs. 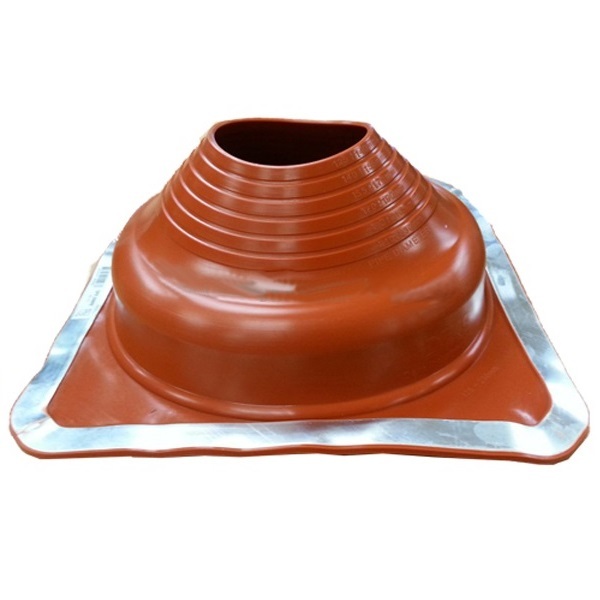 It is through this strip that you can secure the Flashing on top of the roof surface and again, as all flashings are designed to accommodate a range of pipe diameters, the silicone cone portion is simply cut away to the desired width for your flue pipe. Low or High Temperature Flashing? 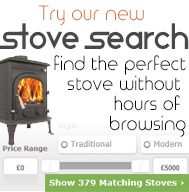 If your Flashing going to be over 5m of the stove itself? Then a low temperature Flashing will do. It is a common misconception that using insulated Twin Wall flue means you only require a low temperature Flashing. This is incorrect and the above should be observed as a rule of thumb. Tip – If you have a particularly steep pitch to your roof, it is advisable to purchase the next size up Flashing to accommodate this. Glowing Embers supplies leading brands of Flashings and fixing kits to meet the needs of every install and roof type and a range of sealants such as Envirograf Silicone, perfect for sealing external applications. Previous PostChimneys in Thatched PropertiesNext PostDo I Need To Insulate My Flexible Flue Liner?